Let's stop mentioning Big 5 because its not in existence. Miss Supranational is not recognized as major pageant in any of the international/national media. If you look at the wikipedia of any beauty pageant related, you will only see top 4 beauty pageants. Even in BB. Pilipinas wiki, you can see that Miss Supranational is classified as Minor pageant along with Miss Grand International, Miss Globe and Miss Intercontinental. Miss Supranational will become a major pageant once described in international media and once it will be well known worldwide. In all honesty, Miss Asia Pacific owned by Philippines is better well known than Miss Supranational because Miss Asia Pacific has made history to be a big pageant along with Miss World and Miss Universe during the old times with winners became big stars in their own country after their reign. Focus nalang po tayo sa Big 5, enough said! Message: Believing in yourself is the first step towards being the best! poorprinz wrote: Focus nalang po tayo sa Big 5, enough said! I have to agree with you!! But only we fans are not happy with the results but the candidates themselves agreed that Karen is a deserving winner. Even other countries leveled up their selection process for the Miss Eath pageants. Ordinary people who watched on TV also agreed that Karen is a very deserving winner. Maybe we are just into the stereotype of a beauty queen that she should be the most beautiful of them all. But you know, beauty pageants have evolved. Just like in 1994 that Sushmita edged the superbeauty Carolina Gomez because Sush gave a very good answer in the final 3.
duhhh, maybe if miss earth is not a filipino owned pageant maniniwala pa ako, kakapanalo palang natin ng back to back ito na naman, daming nasayang na super beauties oh well..no comment..
All 6 pageants were staged already and winners were proclaimed, Like it or NOT! Miss Universe for me is still on top, The only let down is the duration of the pageant was shorten and the preliminary stage. The selection process is still the same, still on high standard but the continental selection was a bit off. If only Mexico, Russia and Iceland was there if will be a different story. The Final show was quite entertaining and the end result is acceptable (I would have replace Colombia with Venezuela as runner-up) but sill Africa is the acceptable Queen of this batch. Miss World can never surpass Miss Universe because their selection process of semi-finalist is likely to be hand-picked by Julia Morley but a great surprise is the head-to-head challenge where we saw the girls communication skills and intelligence. I am not a fan and will never be a fan of MW's athletics as a basis of semi-finalist. The beauty for a cause projects is the pride of this pageant and the most admirable chunk of their selection process. Miss India was just a perfect winner of MW this year even though I am not really sold with her answer but she is just perfect winner for this pageant. Miss International the low profile pageant! What I like about Miss International is you cannot question their Queens and runner-up every year. The only let down of this pageant is the long and snooze fest finals. I think Miss International has improved in regards to their relativity after the pageant as we saw last year's Queen was one of the most travelled among MI Queens and I hope this continues with the current queen. Miss Indonesia at last Indonesia got their first major crown. She is just so perfect successor of Kylie and MI 2017 runner-ups are well deserving too. [color=#0000FF][b]Miss Earth is the most controversial and popular pageant online as we all see that every pageants forum was about Miss Earth (except the bitter pageant page of --- (no need to mention). What help ME relatable/relevant is their activities during pageant and even after the pageant, the bashing and hatred being thrown to ME makes MEO work to improve their pageant. I can confidently say that ME is the most improved pageant as they learned from their previous gaffe. The Miss Earth pre-pageant activities is incomparable (Any pageant held in Philippine soil will have so much things to do with pageant crazy fans) and the finals is an upgrade of previous staging. The only let down is this pageant is looking for a perfect spokeswoman to their cause. Karen Ibasco is not ugly but she is not your type of queen who is physically eye catching. If only Miss Thailand answered the "#Millennial" thingy or Miss Netherlands penetrated top4 it will be a different story and ME will not be receiving this unnecessary hatred and bashing from the pageant fans both Filipinos and non-pinoys abroad. MEO should weigh beauty more on Finals night because from the top16 they already chosen the ladies who are serious with environmental advocacy next edition. Miss Supranational this pageant is a hit or miss, but still a lot of work for them to do to be considered as a major pageant. The finals staging is like a talent show and quite messy to follow. They should improve their pre-pageants activities, selection process of finalist and mostly their goal or what is this pageant all about. Miss Supranational is more of like an entertainment and after crowning their winners that is it. The only activity you will hear from MSupra traveling to a country to crown a national pageant. Jenny of Korea is a freash of breath air winner she is not your typical queen (like Karen of ME but I think she is a bit upgrade physically but Karen is lil up on intelligence department.) but very eloquent and classy. Miss Grand International this pageant is being promoted by some as a major pageant but even their home turf (Thailand is not recognizing it as a serious pageant, Little media exposures for pre and post pageants and NO MEDIA BROADCAST support at all during finals unlike the other 5 pageants). Their stop the war advocacy cannot be put into fruition (they should try to expand and search for a better advocacy). MGI has a lot of improvement of they are really pushing and serious to be considered a big pageant. MGI is glossy and the finals is spectacular but this year their venue as like in an amusement park or covered court that they need to delay a little time because of weather problem. The only positive outcome of MGI pageant this year is they crowned a beautiful girl (google help me, need to switch tab LOL) Maria Jose Lara of Peru. Miss Supranational and Miss Grand International. Yeah, Karen's win is hard to digest. But as we all know, beauty pageants nowadays evolve. Beauty isn't just enough to win. And it is not Karen's fault. The judge (most of them are non-Filipinos), maybe. Aanhin pa ang beauty if the brain is empty? Karen maybe for you, is not a typical beauty queen material. But if you look at her and hear her talk, you will be amazed. The woman is full of substance and elegance. PHILIPPINES is a legit Powerhouse in Beauty Pageant. Haters, deal with it! Message: Be what you want! Ewan, I can't blame foreigners who continue bashing her and the miss earth itself ,I even can't defend them from massive bashing. Sana may or june na ang pageant para mapalitan na agad ng new winner. Why all my post are not being approved? can someone tell me why? I have been posting with relevance not spamming but seems like something wrong here. I am not if I came back to work it will be the same again. This is injustice! You actually don't have to defend her... Just not joining the bashing bandwagon is a good start. the very best example of a colonial mentality... just because other or first world nationalites bash Karen, you joined the bashing as well. do you think by bashing Karen, you lifted your status as one of the first world citizens? bashing your own shows signs of insecurites as a filipino. Philippines won 4x in Miss Earth then you kept on bashing. Then why not bash Miss Tourism where Philippines won 4x as well? and yes we can debate all day about the longevity of Globe and Intercontinental. no tea no shade on Miss Earth, i dont discredit the body of work of some of the earth ladies out there in the environment but i still do not see it fits the same category as the other 3. despite of a high participation rate it wont change the fact it still relatively young compared to other 3. not to mention i have lots of reservation towards their selection of semifinalist and eventual winner. same case with Supra very young but what i admire about the pageant is on the way they select their winners. Supra is still finding it's voice and foothold in the pageant business but they do make sure that they tell the message that they are not looking for a girl that will save the world overnight instead they are looking for something more unique , someone a commoner speak to, not intimidating instead welcoming. For a couple of years South Africa would send the official Miss South Africa to Miss World and another girl will be chosen to represent the country in Miss Universe. Representatives to other international pageants still receive very little, if any, exposure!! I do have to stress that I did mention that it is my PERSONAL opinion on the so-called Big 5. For me, there will always only be Miss World and Miss Universe: In South Africa THE BIG 5 are the Leopard, Buffalo, Elephant, Rhino and the Lion!! THE UGLIEST WINNER IN BIG FOUR PAGEANTS (BIG 3 RATHER). Karen would have been considered a deserving winner had the two Miss Philippines before her not won. I think the disapproval is not directed towards her but towards the Miss Earth organization for showing nepotism visibly. For me, Big 5 isn't really recognized. For me, it's just Miss Universe and MW. All the other pageants are minor. Even those two are getting less and less media attention because pageants are considered blase by many nowadays. But I still love pageants! Message: I've never seen a smiling face that was not beautiful. no, dont worry my dear, I'm not..kacheapan lang..nagpa pop up kasi ang comments sa fb, kakahiya nababasa pala ng mga friends mo, so huwag nalang. bdee wrote: For me, Big 5 isn't really recognized. For me, it's just Miss Universe and MW. All the other pageants are minor. Even those two are getting less and less media attention because pageants are considered blase by many nowadays. But I still love pageants! As a millennial, Miss Universe and Miss Earth (kinda' skeptic to follow Miss Earth next year) only excite me. Miss World used to be so exciting for me when I was starting to become a pageant fan with the fast tracks but they became less exciting when they excluded the Beach Fashion fast track. After a successful edition in Indonesia with countless media coverage and updates in 2013, Miss World's media coverage is going down year by year. We can't anymore feel the excitement. I only watched Miss Supranational once and that was in 2013. Miss International is decent for me. I may or may not follow it every year. I think MGI could really be the next big thing in the future, they've been doing well for years but I wish they stay away from controversies. MISS SUPRANATIONAL: AFTER MISS UNIVERSE, MISS SUPRANATIONAL IS THE BEST IN TERMS OF PRODUCTIONS. ITS FINAL SHOW IS REALLY GREAT AND GLAMOROUS AND WHEN I SEE IT, I SEE THE IDENTITY OF MISS SUPRANATIONAL (INSTEAD OF MISS GRAND INTERNATIONAL, THAT IS A BAD COPYCAT OF MISS UNIVERSE). I THINK THAT MISS SUPRANATIONAL IS ON THE RIGHT TRACK TO BECOME ONE OF THE BIG. BUT ITS BIGGEST DOWNFALL IS THE LOWER LEVELS OF THE CANDIDATE AND THE WTF WINNERS (EXCEPT IN 2013 AND 2015, TWO GODDESS). 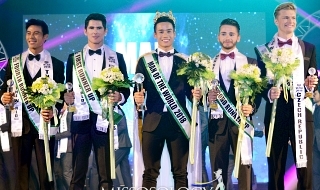 I THINK THAT WBA SHOULD FOCUSE MORE ON THE MALE PAGEANT, BECAUSE IN ONLY TWO YEARS HAS MADE THE BAR REALLY HIGH. 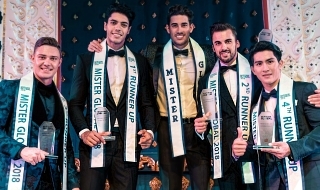 NO ONE IS NEAR TO MISTER SUPRANATIONAL IN TERMS OF PRODUCTIONS AND ALSO THE TWO WINNERS ARE HANDSOME. IF THEY FOCUSED ON THE MALE PAGEANT, THEY WILL BE THE FIRST. THE OTHERS PAGEANTS DOESN'T NEED MY TIME. THEY ARE MORE THAN IRRELEVANT. I agreed with you. Only MW and Miss Universe. If I remember correctly, after 2000 all the winners from MW and Miss Universe both had a chance to meet their countries' leader (president or PM) except USA and China. I know pinoy here always discredited MW and credited ME, but the truth is MW and Miss Universe are highly recognized and respected from over the world. The TV news from the country I live right now showed Miss Universe and MV competitions and winners, including winners' personal info. But they never showed any info of other beauty pageants. In terms of other pageants, I feel MGI is getting better and better. I hope MI should be operated by another country. I think it's also very important to note that the biggest pageant in the world - Miss Universe until IMG took over, heavily favoured Eurocentric beauties. The Latinas especially from Venezuela were mostly European-looking and out of the African titleholders, three out of a mere six or seven have been conveniently white - 1992, 1978 and this year's Miss Universe from South Africa. 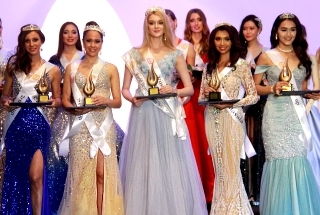 At least Miss International has consistently recognized underrepresented groups like Africans and other Asians. They just need to turn around the show production-wise. Jaishee wrote: As a millennial, Miss Universe and Miss Earth (kinda' skeptic to follow Miss Earth next year) only excite me.